Medicaid Audits Can Lead to Federal Prosecution for Civil and Criminal Fraud Offenses. Due to the Risks Involved, Dentists Must Take These Audits Extremely Seriously. Medicaid, like all government health care benefit programs, is subject to strict oversight and aggressive enforcement by various federal agencies. Due to the inordinate costs of Medicaid fraud, prosecuting providers suspected of fraud has become a top federal law enforcement priority. The Department of Justice (DOJ) and Centers for Medicare and Medicaid Services (CMS) work closely with state Medicaid Fraud Control Units (MFCUs) and police departments to identify providers suspected of overbilling the system; and, when these efforts uncover evidence of fraud, the DOJ aggressively pursues a broad range of charges. Medicaid fraud investigations have increasingly focused on dental practices in recent years. In many cases, these investigations begin as “audits” – seemingly routine reviews of dentists’ billing practices to determine whether any amounts have been improperly billed. However, in this context, the use of the term, “audit,” can lure dentists into a false sense of security. Medicaid audits are designed to expose fraudulent billing practices; and, when they do, dentists can suddenly find themselves fighting to protect their practices – and in some cases their freedom – in federal Medicaid fraud litigation. 1. You May Not Be Contacted During the Audit. Many dental Medicaid audits begin as “desk audits.” Desk audits are conducted remotely by auditing agencies that have contracts with CMS, and they focus on comparing individual dentists’ billing records with those of their peers. Using data analytics and comparative analysis, auditors assess whether any of the dentist’s Medicaid billings appear to be either (i) in direct violation of the Medicaid billing guidelines, or (ii) anomalous (and therefore suspect) when compared to other providers’ Medicaid records. Following a desk audit, the auditor will issue a Draft Audit Report. The Draft Audit Report will detail the auditor’s findings and identify any Medicaid reimbursement requests that appear to be indicative of fraud. 2. You Only Have a Limited Amount of Time to Respond to a Draft Audit Report. Once a Draft Audit Report has been issued, the dentist has the opportunity to respond with arguments and objections. However, the response window is limited. Technically, dentists have 30 days to respond to a Draft Audit Report, but CMS allows five days for receipt from the date of mailing. So, as a practical matter, dentists have 35 days from the date of the Draft Audit Report to submit a response. 3. Medicaid Auditors’ Methodologies are Often More Flawed than the “Fraud” They Seek to Expose. While the purpose of a Medicaid audit is to identify errors and omissions (both intentional and unintentional) in dentists’ billing practices, the unfortunate reality is that Medicaid auditors’ methodologies are often more flawed than the “fraud” they seek to expose. From relying on outdated billing guidelines to misinterpreting records and failing to consider industry standards, auditors routinely reach faulty conclusions – with potentially-devastating effects for dental providers. 4. Medicaid Auditors are Not Trained Dentists. Part of the reason for the significant rate of flaws in dental Medicaid audits is that auditors generally are not trained dentists. Rather than reflecting a knowledgeable review by peers within the dental profession, audit reports instead reflect rote (and often misguided) application of generalized auditing standards. 5. Pediatric Dentists are Particularly at Risk in Medicaid Fraud Audits and Investigations. Due to the fact that a large portion of their patients often receive Medicare benefits, pediatric dentists are particularly at risk for being targeted in audits and investigations. 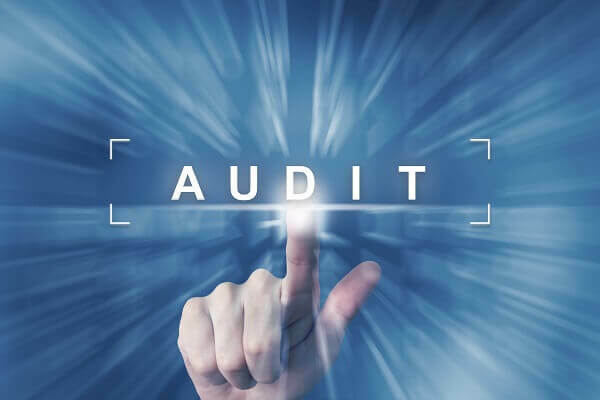 The more records auditors have to review, the more likely they are to find something they can use to seek recoupments and other penalties – and the more important it is for pediatric dentists to take proactive measures to protect themselves during the audit process. 6. Medicaid Auditors Have a Financial Incentive to Find Evidence of Fraud. In addition to the risk factors noted above, another factor that makes Medicaid audits particularly dangerous for dentists is the financial incentive that auditors have to seek recoupments on behalf of CMS. Medicaid auditors work on a “fee-for-service,” or contingency-fee, basis, which means that they get paid more when they find more evidence of fraud. 7. A Medicaid Audit Can Quickly Lead to a Federal Investigation. Despite all of these various flaws in the Medicaid audit system, audits can expose dental practitioners and practice owners to federal investigations with the potential for civil or criminal prosecution. If an auditor refers a practitioner or practice to CMS or the DOJ based on its assumption of fraud, this can quickly turn the audit into a high-stakes federal investigation. 8. Audits and Investigations Can Have Severe Consequences. Just how high are the stakes? In addition to recoupment of overbilled amounts (or allegedly overbilled amounts), dentists targeted in Medicaid audits and investigations can also face denial of future claims, prepayment review, fines and damages, program exclusion, licensing action, and even federal imprisonment. 9. Dentists Cannot Assume that Medicaid Audits are Harmless, No Matter How Much They Focus on Medicaid Compliance. All of this means that dentists can never assume that Medicaid audits are harmless, even if they have consistently applied a comprehensive Medicaid billing compliance program. All Medicaid audits need to be taken extremely seriously; and, unfortunately, dentists cannot assume that their audits will result in just outcomes. 10. Dentists Facing Medicaid Audits Need Experienced Legal Representation. If you are facing a Medicaid audit, or if you have received a Draft Audit Report stating that you owe money to Medicaid, it is important that you hire experienced legal representation promptly. These are challenging and high-risk circumstances, and they are best handled by an attorney who has a significant record of success in health care fraud audits and investigations. Is your dental practice being targeted in a Medicaid audit? If so, we encourage you to contact us promptly for a free and confidential case assessment. To speak with health care fraud law defense attorney Dr. Nick Oberheiden, please call (888) 519-4897 or inquire online now.